Sometimes you just need some luck. I knew it would be a bit late to work under water on the ice cap of Greenland in mid August, as the meltwater could already be frozen. And we even had to wait some days for good weather to fly out with the helicopter. We finally landed on the ice cap on August 12. 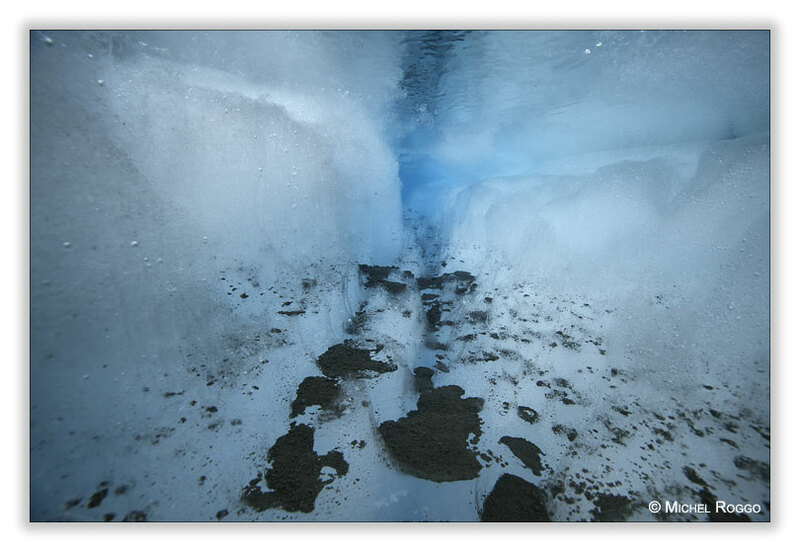 Immediately I started with underwater photography in the meltwater channels and lakes around our base camp. 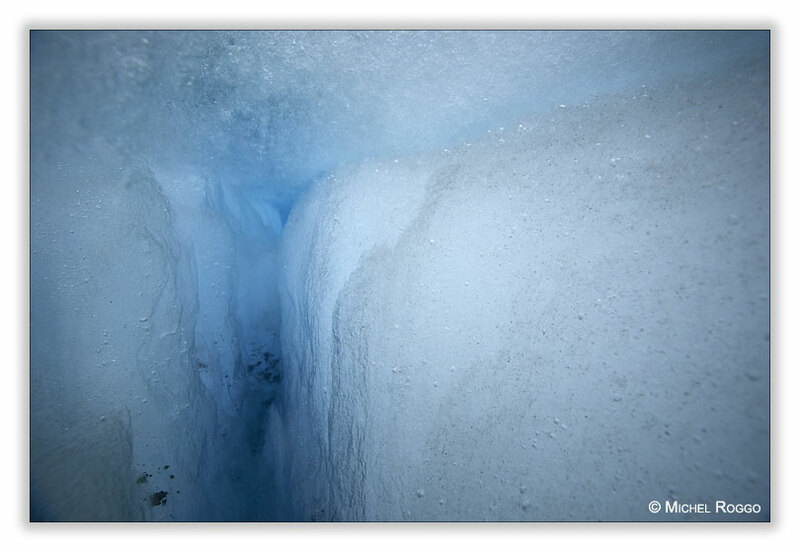 But the meltwater channels where already partially frozen, or even covered with ice. At least the sun was shinning, what is always good for underwater photography. After a few hours, the weather changed pretty fast. We had to go in our tent, and wait there 16 hours for the snow storm to end. When we could leave the tent next day, everything has changed: It was winter on the ice cap of Greenland. I first made some landscape images, then tried underwater shots again. But there was absolutely nothing to do. All the channels and the shallower part of the lake where full of drifting snow and ice. It simply was the beginning of a long Greenland winter. 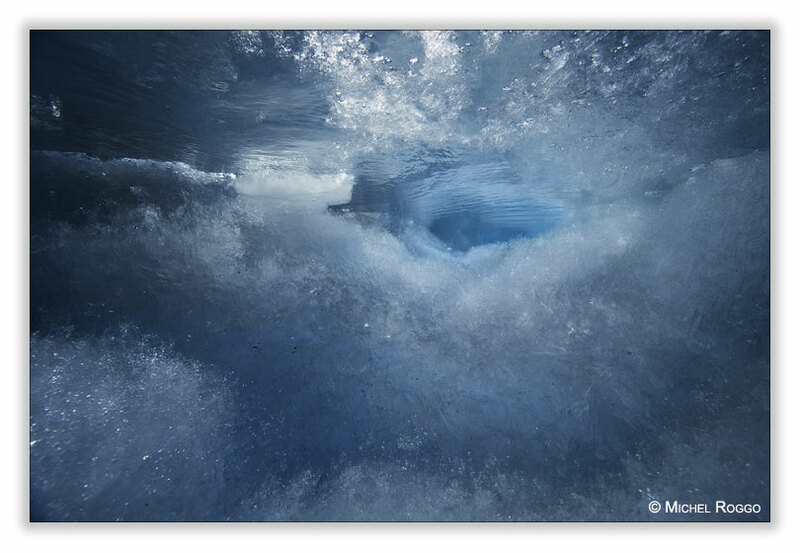 At least I had some underwater images of the very last day of the greenlandic summer.